Piringakau, meaning “close to the heart”, is the name of the Maori department at Waiheke High School. The name was initiated by Michelle Lee in consultation with Piritahi marae and kaumatua, Kato Kauwhata in 1997. Today we apply Piringakau to our kapa haka group, to our junior and senior classes and our whanau support (parent group). All students in year 7 take Maori for 13 weeks (as rotation with other options). The topics covered include: greetings, number, colours, body parts, waiata, and karakia. In year 9, students choose Maori as a half-year course for two terms. The topics covered include: Waka Ama, Purerehua, kapa haka, and Celebration (first semester celebration is Mataariki, second semester, Tohu Whakanui). 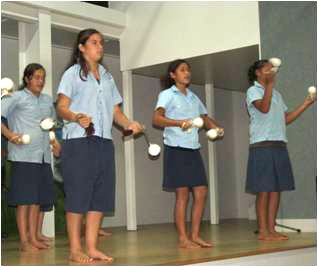 In year 10, students choose Maori as a full year course. The topics covered include: Waka Ama, Papahou, Mere Mau Ringa, Kapa Haka, (with 4 Level 1 NCEA credits) and Celebration (first semester celebration is Mataariki, second semester, Tohu Whakanui). In years 11 through to 13, students take Maori as a full year, NCEA course. 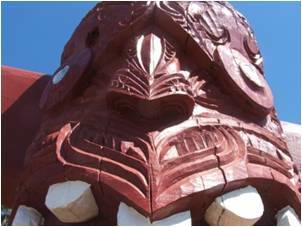 For 2011 students are offered an integrated course that includes Visual Art in Sculpture and drawing, Landscape Design in Horticulture, and Kapa Haka. Worth 6 credits students are asked to generate and develop ideas using drawing processes and procedures in sculpture practice. Worth 6 credits students need to redesign a community garden. Kapa Haka credits are offered at level 1 and 2 to students in Maori classes only. It is offered as an extra curricula to students at all levels during study period twice a week. Students meet in C1 classroom on Mondays and Thursday. Kapa haka wananga will also be held at least twice a year. More information on this will follow throughout the year. Mataariki is a school wide celebration where house groups work together to prepare food for the school hangi and houses compete for top group in the haka competition. Tohu Whakanui is a Piringakau whanau celebration conducted at the marae honouring our students who have supported and performed beyond the scope of school activities.